The Oregon Ducks (22-8, 12-5 Pac-12) and the Oregon State Beavers (17-12, 8-9 Pac-12), have one of the most storied rivalries in all of college basketball. The famed rivalry dates all the way back to 1903 and the two ball clubs have met 343 times, which is an all-time record. Despite the match-up’s rich history, both the Ducks and the Beavers were expected to be two of the worst teams in the Pac-12 before the year started. Critics figured that Wayne Tinkle, Oregon State’s head coach, would struggle mightily in his first season in Corvallis. And many expected Dana Altman to have a difficult time winning ball games with a young and inexperienced Oregon roster. The great thing about sports, however, is that they always carry an element of surprise. This has certainly been the case for Oregon and Oregon State. Wednesday night will mark the 344th edition of the men’s basketball Civil War, and for just the second time in the last 39 years, both the Ducks and the Beavers have accumulated at least 17 victories as they head into their matchup. The Beavers have enjoyed a stunning, yet successful season so far, and largely for one reason: defense. Oregon State possesses one of the best defensive teams in the entire conference, which is lead by Gary Payton II, the son of NBA Hall of Famer Gary Payton. The Beavers currently sit in sixth place in the Pac-12 — not bad for a team originally projected to finish in last place. Joseph Young’s leadership has been paramount to the Ducks’ success. On the other hand, the run-and-gun Ducks have probably been one of the most surprising teams in the nation. They currently find themselves in third place in the Pac-12 and they can potentially move up to second place if the Utah Utes falter this week. What’s even more surprising, though, is that Oregon has a realistic shot of qualifying for the NCAA Tournament. If you consider the tumultuous offseason that the Ducks endured before the year started, which saw the departure of Dominic Artis and Damyean Dotson, two vital players for the program, it’s a miracle that the Ducks have made it this far. The outcome of this match-up will be important for both teams, but especially for the Ducks. Oregon has won four straight games and eight out of its last nine. 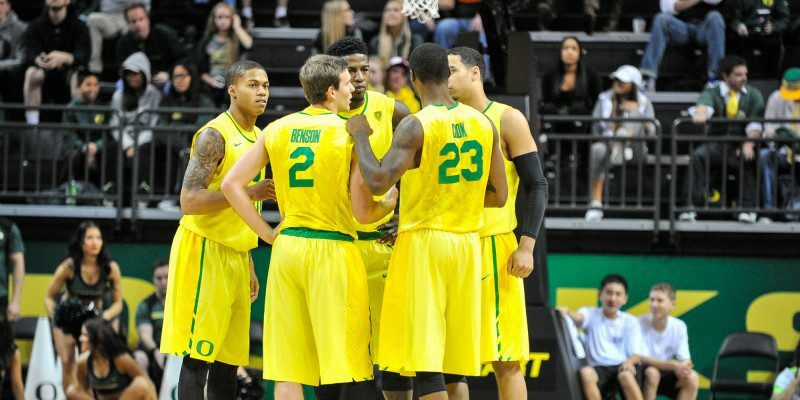 A potential victory tonight could bolster the Ducks’ chances of playing during March Madness. The end is near, but it definitely looks like this young and exciting Oregon team has a few more tricks up its sleeve.